It seems I have rarely been home lately. Life is busy! But yesterday, in a rare, free moment, it seemed like the perfect time to pull out the mixer and bake something delicious. I had this jar of amazing Marionberry with Cinnamon Jam that I picked up from my favorite jam makers, Republic of Jam. I knew I had to make something scrumptious with it. 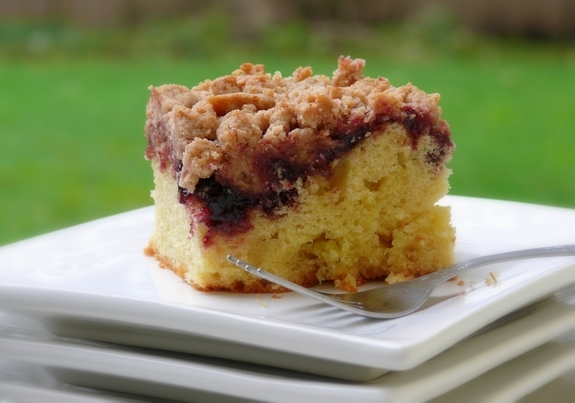 This crumb cake is heavy on the crumb and light and airy on the cake. It’s perfection. It’s addiction and I think I need another bite. A New York City coffee shop is where I imagine to find something like this. I think you’ll enjoy it. Bake until golden brown and a toothpick inserted into the center comes out clean, about 1 hour. Transfer to a wire rack. Let cool about 15 minutes. Dust with confectioners’ sugar. Serve warm if you can! I was wondering where you were! I see you were probably hybernating with this delicious cake! I have some homemade blackberry jam that I could use for this. Great idea! I know I would enjoy it Cathy! Mmmmm… delish! Love the addition of the jam. Bet the cinnamon was a great accent to that too. I’ve been the same way – think I only posted twice last week due to spring cleaning and spring fever! ‘Tis the season. 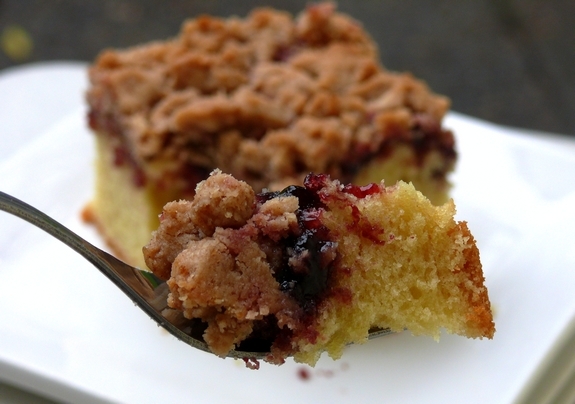 I looove this cake, and especially that it’s “heavy on the crumb.” That’s the best part! Oh my goodness…that looks amazing! The marionberry jam sounds delicious, and thank you for the link! I can’t wait to try this recipe. Thanks for sharing! yet another recipe that I am salivating while scrolling down through the pics!!! aaaahhhhh…. must make.. soon. 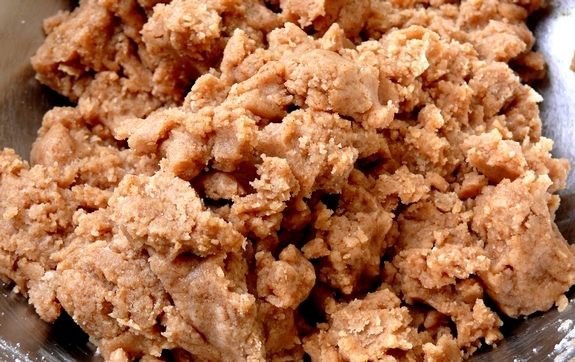 I need a great recipe for crumb cake and I think that I have found it! Oh yum. This is my kind of cake. Oh wow! Love a crumb cake with a high crumb/cake ratio. You are making me forget my vow to cut back on sugar because I could really use some of this. once again, you read my mind! i was drooling over this recipe just the other day. I just got a jar of jam from Foodzie.com that I’ve been trying to figure out what to bake with. This is perfect! I made this a few weeks ago and it is delicious. I took it to work and everybody loved it! how can i get this recipe or any of your recipes printed ? My newer recipes all have a print feature. The older recipes on my site did not have that possibility so just cut and paste. Sorry! This looks so good, my favorite jams are apricot or Orange marmalade, so I want to try it with the orange….there goes my diet…again.. 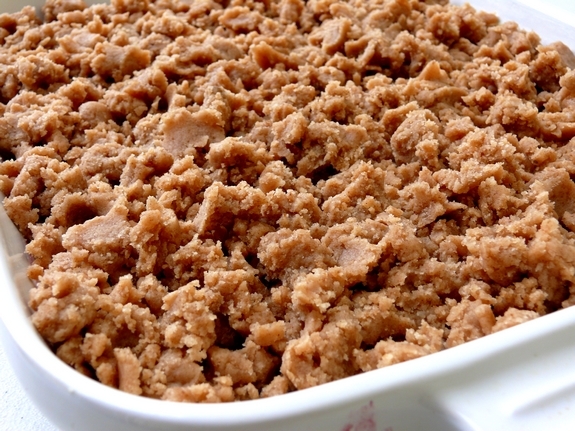 When I started to make this cake, I made the crumble first and realized that I have used all my butter!! I didn’t know what to do and I was too lazy to go to the super market. 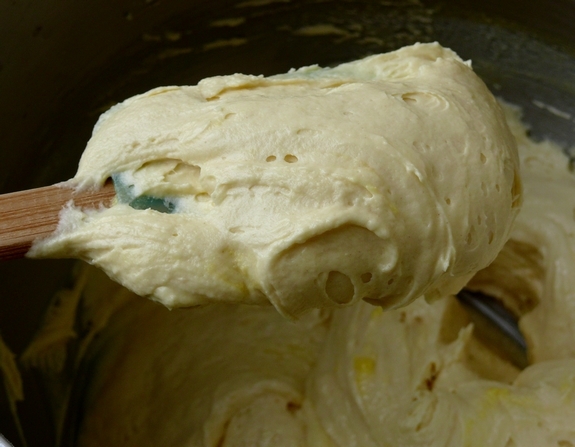 I used 2/3 cup olive oil in the cake mixture instead of the butter. I was scared it will taste weird but WE LOVE IT!! It makes me full for hours! !